You are using an older version of Enpass. 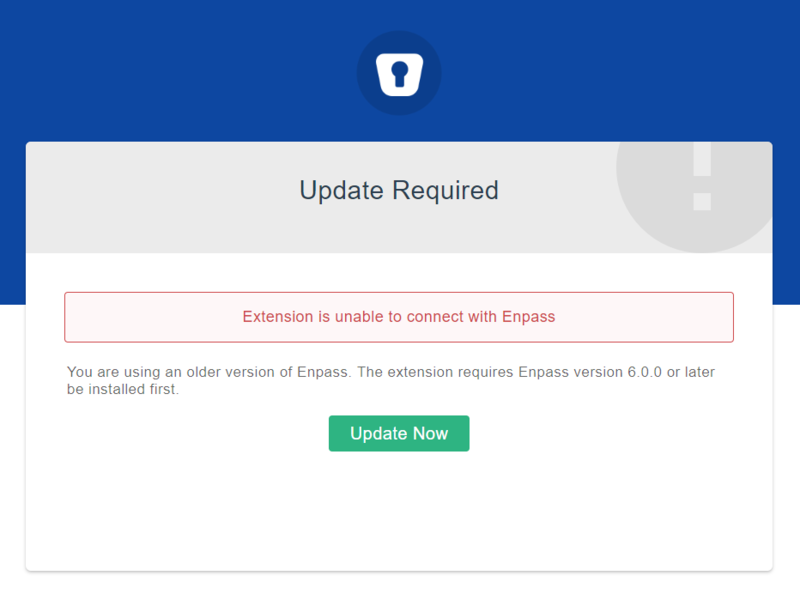 The extension requires Enpass version 6.0.0 or later be installed first. Checking updates with desktop version, does not show any updates! !!! Now I am unable to use Enpass with Chrome !!! I've the same problem over here. I usually use Enpass on a productive system so I can't switch over to your beta program. Is there any possibility to downgrade the Chrome plugin? Furthermore it seems that your extension page on the Chrome web store under https://chrome.google.com/webstore/detail/kmcfomidfpdkfieipokbalgegidffkal is missing. Can I download a functional version for your extension? I have the same problem. I would be happy about a solution. There is some technical issue with our end which we have already fixed. 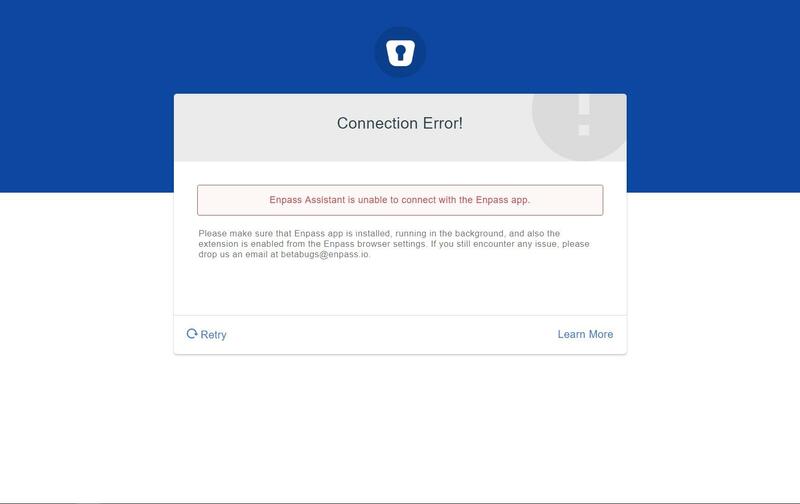 So please update the Enpass extension and let me know if the problem persists. Just a small question regarding this. I have installed the Windows win32 version from Microsoft Store instead of downloading any msi-setup file here. Will the win32 version installed from the store be automatically updated as any other store app? Still not working for me with Chrome, but works fine with Firefox. Decided to try Enpass today if it could replace my 1Password subscription. I installed the Bridged version (I think) and not the 10dollar UWP one. Installed the Chrome extension. Now when I try to click the extension it just says i need to update my Enpass desktop app but there is no updates available. Still not working for me with Chrome, but work﻿s fine wit﻿h Firefox. I would like to share that Chrome web store does not allow two different channels (beta and production) for the same extension, so we have to publish beta as a separate extension. Please install the beta Enpass browser extension for Chrome browser from this link and let me know if the problem persists. The beta extension seems to fix it. I know that, I've been using the Beta for awhile now (probably the day it was released). It was working just fine until the latest Chrome version got updated, now it won't connect. I've tried uninstalling reinstalling etc still nothing. During the connection attempt, it loads the program, then error it couldn't connect. I'm not the only one this is happening to either. 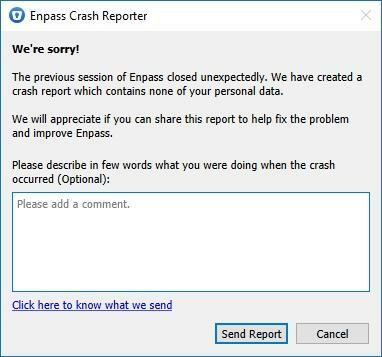 Can confirm the new update for the Enpass 6 Chrome extension is broken. 11/30/2018 - The chrome extension connection is still broken. @Pete I like your layout of information. 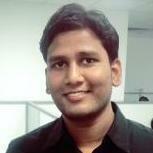 @Anshu kumar Version info below. Ok, I managed to get it connected with Chrome, updated the Windows program from 149 to 198. But please be careful (I must stress this), you might lose data if you used custom categories in the past, as it's a premium feature now. Please install the latest beta version of the Enpass app from this link and check. I updated Enpass to the newest version 6.0.0 (198) and everything is working now! Thanks! The beta enpass extension is now also working for me under vivaldi. Thanks. @jakister Version 6 was released today. No need to use beta.